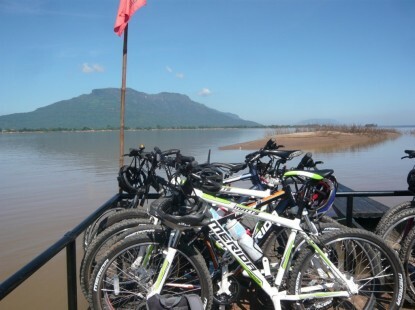 We start the day heading out of Pakse, riding south to Ban Muang, a little known town on the banks of the Mekong River. 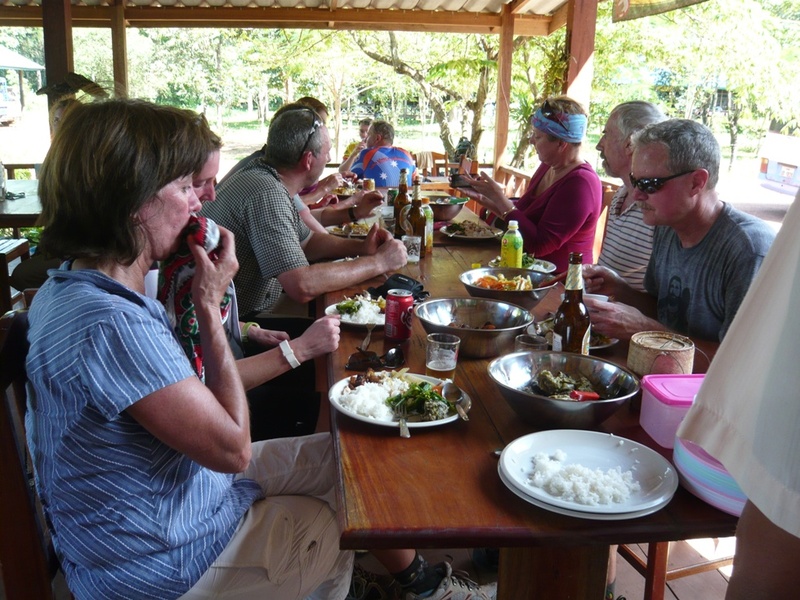 Here we cross over the river and explore the stunning Island of Don Daeng stopping to enjoy a picnic lunch. Then, we head back over the Mekong River and cycle to the town of Champasak to spend the afternoon cycling around Wat Phu a Khmer Hindu temple complex which dates back to the 5th Century. Today it is recognised as a UNESCO world Heritage site and is the location for the ancient city of Shestrapura. Finally we head to our hotel for an evening of relaxation. Today is all about discovering and exploring nature, in this wonderful tranquil setting and one of the highlights of this trip, cycling through the 4000 Islands hopping on small ferries the short distance from one Island to the other, cycle through the peaceful and un-touristic Island of Don Som to its southern tip which is just a couple of hundred metres from Don Det. 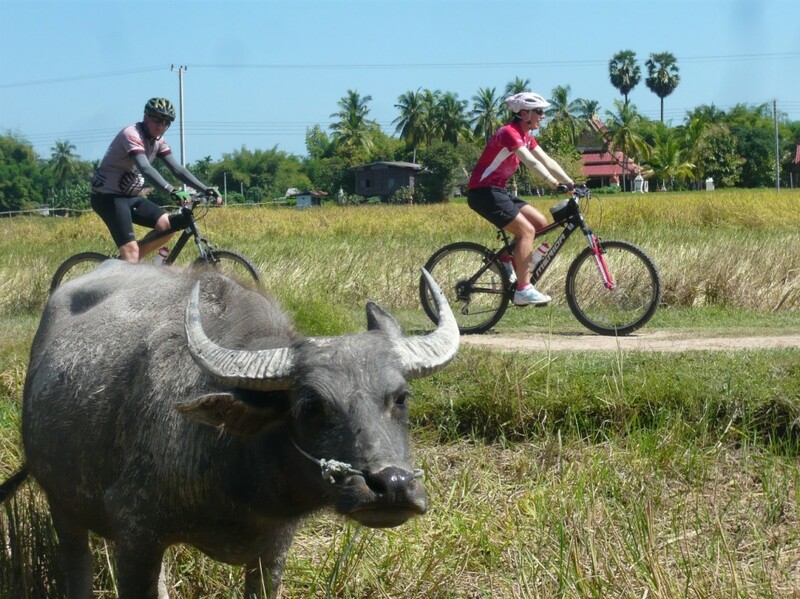 Cycle through Don Det and along the old railway line and across the stunning French Railway bridge to Don Khone and continue to the Southern tip of Don Khone. Here you can see Cambodia just across the river. Take a boat ride into Cambodian waters to search for the endangered Irrawaddy dolphins that live in this part of the Mekong. Next we head towards the beautiful Liphi falls before finishing cycling for the day with a short ride to your bungalow on Don Khone Island. Today we ride more than 70 km to Tad Lo, and though there is a gentle climb of about 15 km, you won't even notice as you take in the lush countryside and the great views of the surrounding mountains. After the climb you are pleasantly rewarded for your efforts with a fantastic 900m descent. Most of this section is tarmac but there is a section of around 19 km where we are on red dirt roads. The road undulates slightly before we arrive at the Tad Lo Lodge with front row views across the waterfalls. This superb lodge is a stone’s throw from the minor falls of Ted Hung and if you wake early enough you might catch elephants making their way into the waterfalls for their morning bath. We have an alfresco dining experience this evening overlooking the falls to round off a great day. Today you are free to relax and enjoy this wonderful area and hotel. Tad Lo is in an area of outstanding natural beauty and if you’re feeling active we recommend you consider sunbathing and swim at the falls, elephant riding through the nearby forest or take a short trip to see the Katu ethnic village at Lao Ngam. The Katu are famous in the region for their weaving skills, using foot looms or do a 20 km cycles ride around the area. Your guide will be able to advise you on the routing to take and points of interest.